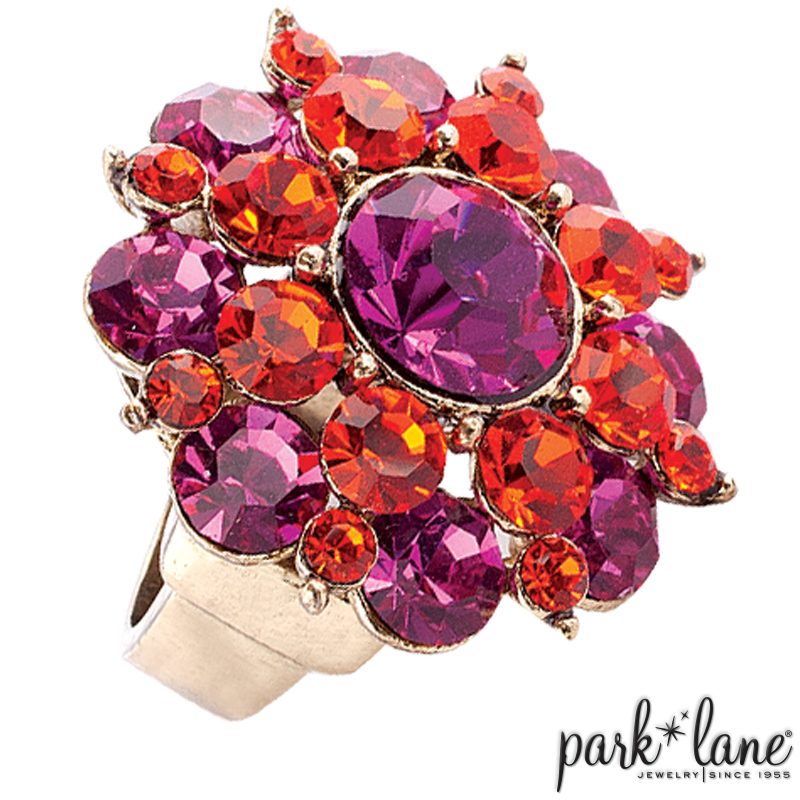 Genuine Crystals Fuchsia and tangerine orange genuine Austrian crystals are arranged in a spectacular circular ring. The burnished gold setting and ring shank highlight the sparkle of the glittering gems. Available in sizes 5-10.